(Video) Why Age? Should We End Aging Forever? Summary: The goals of geroscience are to help us live longer and healthier. 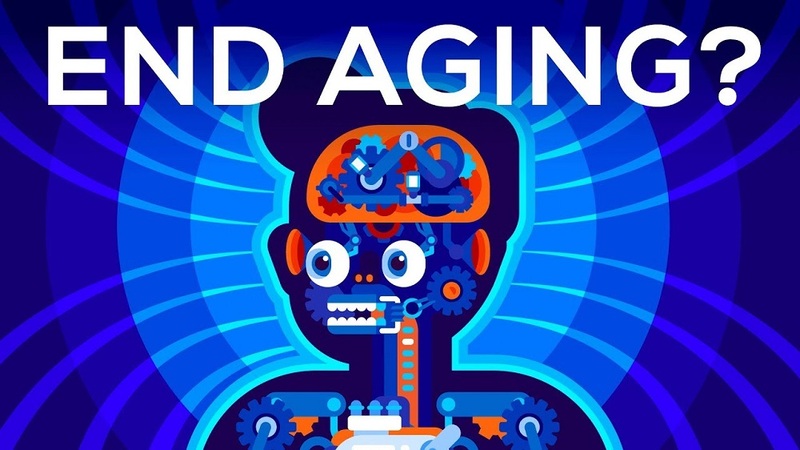 A new film clip from Kurzgesagt explains the rationale behind lifespan-extension science, and why it’s not just about living longer but also living healthier. Due to medical advances, people are living longer lives than our ancestors did centuries ago. Sadly, many of us will spend these extra decades of life in poor health. Most depressing of all is the thought that many of us will die in a hospital bed and witness the same thing happening to our loved ones. A new breed of a researcher called the geroscientist aims to end the ill health and decline we associate with aging. These anti-aging researchers feel that, rather than treat diseases as they occur, it is more efficient to prevent diseases before they happen. This could not only prevent illness and suffering in millions of people but also save an equal number of lives. Anti-aging researchers plan to accomplish this by delaying the aging process itself. A group of people called centenarians live extraordinarily long lives. Not only that, but they become afflicted with the chronic diseases of aging very late in life, a process known as compression of morbidity. Longevity researchers are hoping to develop drugs that enable ordinary people to live like the centenarians, a long lifespan followed by a much shorter period of disability. The goals of longevity researchers are aligned with those of traditional medicine, both aim to prolong lives and reduce human suffering. Longevity research has made some unprecedented advances in the last few years. Scientists understand the mechanisms behind aging and are developing ways to tinker with the process, giving us longer, healthier lives. Cover photo credit: Kurzgesagt. Screenshot from youtube. Diagnosis, Advice, and Treatment: This article is intended for informational purposes only and is not a substitute for qualified professional medical advice. The information and opinions expressed in this article should not be used during any medical emergency or for the diagnosis or treatment of any medical condition. Experimental therapies carry a much higher risk than FDA-approved ones. Consult a qualified and licensed physician for the diagnosis and treatment of any and all medical conditions. Dial 911, or an equivalent emergency hotline number, for all medical emergencies. As well, consult a licensed physician before changing your diet, supplement or exercise programs. Endorsements, Photos, and External Links: This article does not intend to endorse companies, organizations, or their products. Links to external websites, depiction or mention of company names or brands, are intended for illustrative purposes only and do not constitute endorsements.